Beneath the Same Heaven by Anne Marie Ruff. I couldn’t find a single book on my shelves or my Goodreads read that I would consider a guilty pleasure. I suppose if I ever get around to reading the Pretty Little Liars books those will be my guilty pleasure, because that damn show was one for me. I cannot think of an answer for this besides Twilight, but that is hardly an original answer. Luckiest Girl Alive by Jessica Knoll. It’s funny, looking at my review of this book from last year I was pretty middle-of-the-road about it… but in my memory I hated the book so much. Pretty sure if I were to read it now I would have been a lot more critical but HELL NO. And you shouldn’t read it either. SAVE YOURSELF! 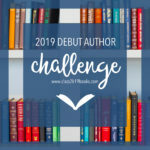 I think it has to be Cat’s Cradle by Kurt Vonnegut; I am even re-reading it right now in preparation for a new blog feature (stay tuned for the announcement early in August!). It’s no secret that I love Vonnegut’s work, but this particular one I tend to gravitate to more frequently than my other faves of his (Slaughterhouse-Five and Sirens of Titan). I don’t know that I would necessarily hate being given a book as a gift; however, I suppose I would be annoyed if it were non-fiction that I wasn’t interested in or a genre I don’t enjoy reading. Ignorance by Milan Kundera is probably one of the most important books in my collection and it holds a very special place in my heart. It may have been like 15 years ago, but I still remember the rage I felt when reading Grapes of Wrath by John Steinbeck. Why is a book that starts with literally PAGES describing DUST considered a classic?! (don’t answer that I am well aware of the literary merits of this horrible book.) Every page was like torture to me and I made it as far as the turtle chapter before I had my first and only high school DNF. There are two books that have made me cry: The Fault in Our Stars by John Green and Anger is a Gift by Mark Oshiro. Both I managed to read in public and had to ugly sob in front of people. Not my finest moments. I tag Danielle @ Books, Vertigo, and Tea, Kayla @ Books and Blends, Angelica @ The Book Cover Girl, and Laura @ Books and Geekiness. No pressure if you have already done this tag or don’t feel like doing it! I don’t think I’ve ever read The Grapes of Wrath, and I don’t think I ever will now! Honestly I wouldn’t recommend it. Don’t get me wrong, I love the Classics, but this one was just the bane of my existence and I am still bitter about it. I remember in AP English I had to read Of Mice and Men and was dreading it because I thought Grapes was representative of his writing style. Thankfully it wasn’t. Ooooh hahah doing so now. Anger is a Gift is SUCH a good book, and I want more people to experience its awesomeness! I hope you enjoy it as much as I did if you pick it up! The PLL books are nothing like the TV show! It’s sad! Sad in a good or bad way? Because I have heard the books are way better and less rage inducing than the tv series was for me. In a way that makes you wish the TV show had been better! I already wish the tv show had been better (oooh the shade! ), but that gives me hope for the series. I will read it eventually. Someday. The Grapes of Wrath was so boring…Or what I read of it anyway. I couldn’t deal. HAHAHAA I take it you didn’t finish it either? How far did you get?! I remember trying SO HARD to finish it but I just couldn’t do it. Lol maybe 50 pages. I didn’t get very far. This is awesome, I loved your answers! Honestly, you can’t go wrong saying Twilight as the book you love to hate. We all feel the same way. Lol. And oh my god, your comment about Grapes of Wrath made me laugh!! I’ve never read it, but I’ve read East of Eden where he spends pages and pages describing the California countryside. 😆 I loved that book, but man was it painful to get through sometimes. OMG hahahaha! The only other Steinbeck book I have read is Of Mice and Men and it was like 90 pages so it thankfully wasn’t overly descriptive. I won’t be picking up East of Eden now, thank you for saving me the trouble! I love how all of the comments on this post are essentially commiserating about how torturous Grapes of Wrath is! FiOS is such a good book. I ugly cried when I re-read it too, which is just sad. Glad you like Twilight! I read the first book because I don’t believe in judging something without having read it myself and it definitely wasn’t for me. Thanks for commenting, Kelly! I enjoyed Frankenstein but can see why for some it would be like pulling teeth. Oh wow that’s so cool! I am sure that if I re-read Luckiest Girl I would hate it… I think I was being kind.